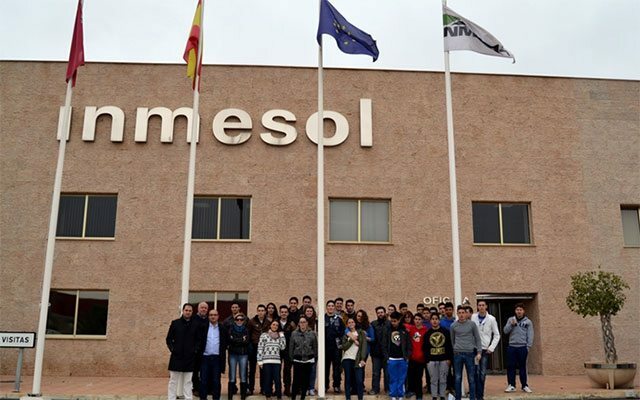 Last week the Inmesol facilities were converted into a work experience site for 32 students from San José College, a concerted bilingual centre located in the town of Espinardo (Murcia). The students from the fourth year of Compulsory Secondary Education and from the second year of Baccalaureate in Social Sciences, were accompanied by their economics teacher, Ángel Vallelado, and their geography teacher, Laura Ruiz. All the pupils are currently studying subjects related to business, so the aim of their visit with us was to experience first hand and in a real company the practical application of the theoretical content of their studies. The baccalaureate students are studying the different areas involved in company management while the 15- and 16-year-olds are studying company administration and operations. The latter group is also participating in the Young European Company project and has created a school cooperative, providing social capital. Among other aspects, they have had to learn to write statutes and to work with other associated cooperatives, one of which is located in Asturias and the other in Ecuador. The first part of the day was spent showing a presentation on our company and transmitting the value of creativity in any business sector. 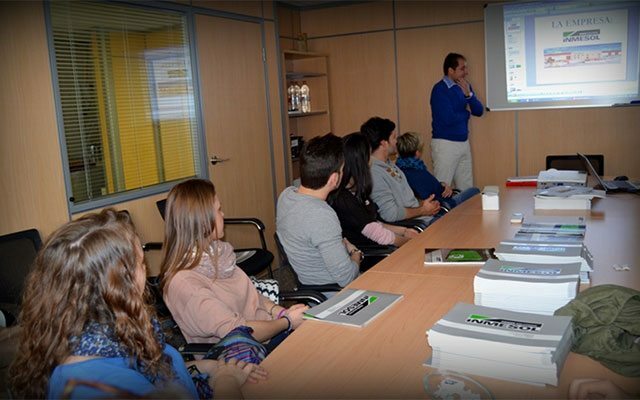 José Luis Solano, together with Inmesol management and the head of Production and the R+D+I Department, explained our history and evolution as a family business, our policy and philosophy, and how exports are key to our business strategy in the present economic crisis. Likewise, he encouraged the students to have an open mind and to allow themselves to consider innovative ideas, as the development of creativity is a fundamental factor in being competitive and making a company grow with enthusiasm and confidence, particularly when the economic situation is unfavourable. 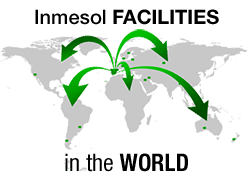 Afterwards, Jose Galarzo, Inmesol Quality Manager, explained which type of organogram we have, the functions of each department, the various products we design and produce, and their multiple applications. The second part of the day was spent taking a tour around the different production sections. The engineer Hakan Ericsson explained in situhow the generator sets and lighting towers are manufactured and the tasks of the operators at each stage of the production process. The students showed particular interest in the robots used for bending and soldering metal, and in the water jet cutting machine. Most of them had never seen these machines before and a few of them only on video. When they reached the Dispatch Section, they also showed enthusiasm when they saw the different international destinations which appear on the labels for generator sets to be sent to Leipzig (Germany), Odense (Denmark) or Santiago (Chile). It was very rewarding for all of us that we managed to awaken an interest in these young people from our region, to witness their eagerness to learn and their curiosity, and to transmit values we believe in, such as willingness and enthusiasm.